Bluefox Casino is operated by ProgressPlay. Now that is one name that needs no introduction in the world of online gaming. Bluefox Casino became operational in 2018, so it is still brand new. Once you arrive the homepage, there is this touch of class that Bluefox Casino has. The design is such that you would always want to dig deeper. Their massive collection of games is another feature that is worthy of exploration. Bluefox Casino is operated by the very best game developers in the industry. Imagine a platform that boasts over 20 developers! That means you definitely will find your desired games. Bluefox Casin is also licensed by the Malta Gaming authority and also the UK Gambling Commission. This means that fair play is a must. In this review, specific key areas that every casino should have is discussed in details. There is so much expectation as regards the quality and quantity of games at Bluefox casino. This is because they are powered by most of the very best game developers in the world of online gaming. Not many Operators can boast over 20 game developers. Bluefox casino is powered by NetEnt, NextGen Gaming, Elk Gaming, Thunderkick, Gameslab, Scientific Games, Bigtime Gaming, Quick Spin, Scientific Games, Extreme Live Gaming, Iron Dog, 1×2 gaming, Bet Digital, Games warehouse, Microgaming among others. As expected, Bluefox Casino did not disappoint in the quality and quantity of games in Blue Fox collections. They have over 300 games of very high quality. The games have been classified into major groups to make navigation easy. Majority of the games are slots. Typical slot games in Bluefox Casino include Ho Ho Tower, Sparks, Reel Thunder, Planet of the Apes, Blood Queen, The Phantom of Opera, Gonzo’s Quest, Ted, Birdz, Renegades, Starburst, Immortal Romance, Neon Jungle are some of the few. The slot categories have well over 300 games. Blackjack, European Roulette, Premier Roulette, Roulette Master, Sharp Shooter, Vegas Strip are the games found in the Casino section. The live part also has such games as Club Roulette, Blackjack 3, Blackjack VIP, Baccarat, Golden Roulette, Live Roulette among others. Divine Fortune, Dolphin Gold, Cash Splash, Chilli Gold, King Cashalot, Treasure Nile are some of the games found in the Jackpot category. Other categories include casual, favourites and All. You can quickly search for games either by name alone or by selecting the game provider. There is no doubt that Bluefox Casino has you covered. The live chat at Bluefox Casino is just a click away. You see your position in the queue, but despite the line, their response is quite fast. Personally, I tried the live chat and got a response in a matter of instants. This is expected since they have few customer, but we hope that Bluefox Casino maintains this standard over time. Queries can also be sent via email. Bluefox Casino has a well-organised team that is available 24/7. Before contacting support, it is advised to read the FAQ section as there are lots of information already about some commonly encountered challenges. In line with the tenets of the online gaming world, Bluefox Casino is secured with a 256-bit keys TLS 1.2. This is to ensure that all information transmitted over the internet is kept safe. Your login information, banking details, communications are all secured. Concerning payments, Bluefox Casino offers customers a variety of payment options ranging from credit cards to e-wallet. Giro Pay, Neteller, Skrill, Paysafecard, Trustly, Sofort, iDeal, paybyphone, Maestro, VISA, MasterCard are among the payment options available at Bluefox Casino. Deposits are instantaneous. There is a minimum deposit limit of $10-20 depending on the selected payment option. The same applies for the maximum deposit as well. As regards withdrawal, there is also a set limit that could take between 1-10 business days. Fast Bank Transfer, Bank Transfer and Credit Card options usually have the longest processing time between 3-9 business days. E-wallet options are generally the fastest. Neteller and Skrill take 24 hours which is quite fast. Whichever method of payment that is selected, Sweedish customers enjoys the fastest withdrawal time usually within 24 hours. Currently, Bluefox Casino does not charge any transaction fee for any of the payment options. In a bid to curb addiction, Bluefox Casino has included the self-limitation policy. Once a written notice is sent, you cannot exceed your self-limited deposit limit. 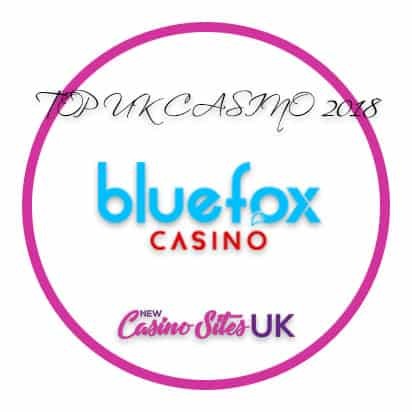 Bluefox Casino is one of the latest additions that is currently operated by ProgressPlay. They now offer 24/7 support services via email and live chat. The quality of their games is seen in the class of their game developers. They have a vast variety of top quality games in their collections. In as much as some of their payment options takes between 3-10 business days, there are also some that make one business day, so the choice is yours. In all, Bluefox Casino is worthy of your time and resources.